With the number of bloggers and journalists increasing daily, how does one become the next Anna Wintour? Our twitter feeds are embezzled with up and coming writers pushing their blogs into the eyes of experts, and with this comes the tsunami of websites that are flashed in front of the best. It’s not all Miu Miu and Milan, so here are few tips on how to break into the industry as a journalist. It is no good saying you want to be a fashion journalist when you don’t know what really interests you. 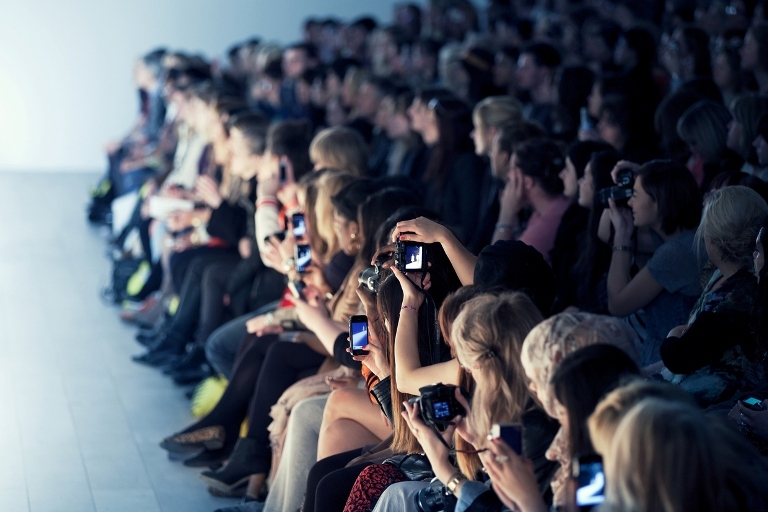 Do you want to write about designers, models, topical issues, reviews or shows? You need to find an aspect that you feel passionate about, and then run with it. To truly stand out to the experts, you need to really think about how you can twist fashion into another angle, and have a different perspective of it that you are able to present to your audience. You need to get first hand experience in fashion to really succeed. Put yourself out there and write letters to designers, shops, studios or magazine/ newspaper publications. Trust me you will be turned down by many. In the words of Christopher Kane, you need to “get your feet wet”; experience is worth more than money. Explore the depths of the industry that is shut behind closed doors, because there are a lot more journalistic jobs that you do not know about. It is no good dreaming about being Anna Wintour 2.0, that’s just foolish and unnecessary. Always write. The way to get better and to perfect your strategy is to write, literally about anything that interests you. Get inspired. Read! I will urge you to read as much as you can from all sorts of sources. This will allow you to receive an allusive array of opinions and views on a topic/show/designer, enabling your view to stretch and educate you and your readers. Do research! It was well and good knowing the names of five Chanel bags, but rather learning about the history of the items and where the inspiration came from; this allows you to place today’s looks in context and deepens your understanding. Persistence is key. It is not an overnight success story that miraculously happens and you become Miranda Priestley, it takes hard work and determination to really succeed. Do not give up if no one reads your first couple of posts on your new blog or has not excepted your letter regarding an internship, just keep going until someone does. It will be worth it! *insert Drake song ‘Started from the Bottom’ here*.